With the uncertainty of Brexit looming over the nation, the unpredictable forecasts of the British economy paint a hesitant picture for our independent future. This uncertainty doesn’t however extend to the leisure marine industry, which has seen several years of consecutive growth. The sales of motor yachts and other boating models alike have constructed a strong and stable economy for the marine sector, and this looks set to continue throughout the year. One example of such growth is the news that UK-based yacht retailers Tingdene have been chosen by Italian motor yacht manufactures Cranchi to represent their range across the UK. At Arkle Finance, we provide unrivalled boat and yacht marine finance and relish the news of the industry blooming. Here we will look at this growth in more detail and provide some tips for buying your motor yacht. The case of Tingdene is a primary example of the growing industry of marine leisure, as earlier in the summer the company revealed they have been appointed to represent the Chranchi range across the UK. The boat retailers are a prominent player in the UK market and their latest news has proved to be extremely popular in the mid-market sector. Cranchi, an Italian motor yacht manufacturer, was founded in 1870, and their models range from 24ft to 60ft, with styles including smaller weekenders to luxury yachts. Having taken on new distribution rights for Cranchi boats, Tingdene is one of many industry examples which highlight the growing demand of UK buyers. According to figures published by British Marine at the start of this year, the UK achieved its sixth consecutive year of growth in 2017. The industry, which at the time of the report supported more than 33,000 jobs, saw revenues increase by 3.4% last year to £3.12billion. The figure is at its highest since the financial crisis and means the industry has directly contributed over £1.3billion to the UK economy during this period. These statistics as a whole are a great achievement for the industry and for the nation’s economy as a whole. It signals a change in the tide within the industry, which many believe to be exclusive to those with enough disposable capital to buy a motor yacht outright. But services such as our tailored motor yacht finance scheme, which provides a plain speaking, unparalleled service, is a primary example of how a huge range of individuals can how seriously consider purchasing a motor yacht. If you are in the market for a motor yacht, there are a few unique considerations you must take into account before you submit your order. The first step we suggest you should take is to decide whether or not you will purchase a new or used yacht. 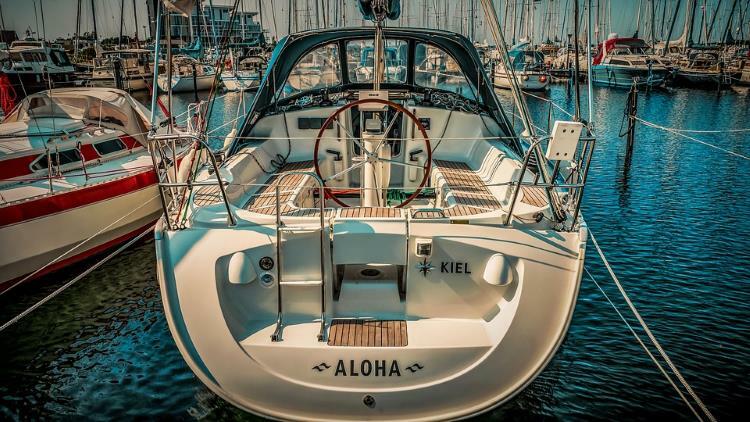 An important consideration here is that Arkle Finance’s marine mortgage isn’t just for purchasing a motor yacht, it can also be put towards refurbishing or upgrading one. This provides you with a much greater scope of choice, rather than having your hand forced into buying a brand-new yacht. In addition to this, ask yourself whether you have seriously considered what size you’ll need. Where will you be using the yacht? In lakes and rivers? Will your primary use be in the daytime, or will you be staying overnight? How many passengers will be joining you? How much will it cost to maintain the yacht therefore? With this also comes the consideration as to how much time you have to actually use the yacht itself. Will this be more than once a month? Where will you store it in the meantime? Have you considered the insurance you will need to cover the yacht? If you are in the market for your perfect motor yacht, our marine finance can be the stepping stone to making your dream come true. Contact us online using the form on the right or give us a call on 01933 304899.